I just listened to this, and its sequel. Both are great books that will keep you riveted, but this first one does suffer from a reader not suited to the book and its characters. He isn't horrible (would be perfect for a cop drama) but it is a distraction. Thankfully someone much better suited to this series reads the second book. Listen to the preview and if the reader is really going to bother you, pick it up in text. One way or another though its a story worth reading. Particularly good for readers of The Dresden Files or perhaps Dexter. This is definitely an older young adult book, theres quite a bit of violence, death, etc. The violence is mostly heroic though, not senseless - except in one situation where one of the bad guys commits an outright murder. 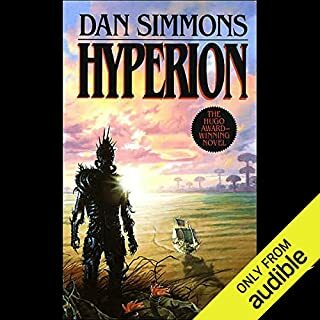 It reminds me somewhat of the Animorphs books I read as a kid, they also had an incredible amount of violence, and the protagonists were even younger than in this book, but it (and this) didn't glorify the violence at all - it was just a tragic necessity. As to the plot, it looks promising. About half way through I decided the best way to describe it was "Like Ender's Game on a bad LSD trip." It also has a bit of a "Lord of the Flies" feel to it however. There are a few things that are somewhat dissatisfying, but not terribly so. I did get a little frustrated by how nobody seems to want to answer any of the main character's questions (he has to pry every scrap of information from them) - but on reflection this does strike me as how a clique-ish group of kids would act towards a newcomer. Give it a read, and if you are buying it for a kid read it through yourself first if your worried about the violence (also, the violence is the only thing that might not be age-appropriate). An entertaining read, but not for everyone. I'd give this one a 5 except for two things: 1) The babel-chant that is used to bridge each transition and chapter (gets EXTREMELY annoying by the end of the book). 2) The story isn't quite up to the standards of Sci-Fi I'm used to, though I think my familiarity with virtually every topic covered in the plot exacerbates this somewhat (hard to suspend disbelief when you know too much to the contrary) - "Speculative Fiction" really is a better classification for this story, or even "Science Fantasy" (as in, it would be cool if things worked that way). Some other things that might detract from your enjoyment of this book include: Long monologues/dialogs in which vast amounts of plot-info is simply presented to you (this may comprise as much as 25% of the novel, but any other delivery method would have resulted in the book being twice as long). There is also cursing, sexual references, theological references (just about every major religion), drug use, etc. On the positive side, this book can be extremely funny (listen to the free preview - best pizza delivery ever, though not terribly relevant to the plot). 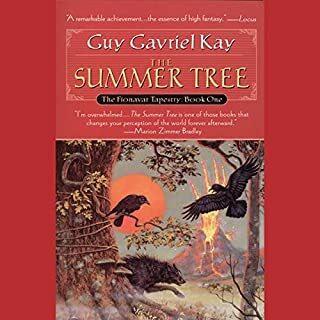 The characters are great and the narrator does an excellent job. The story itself is entertaining and the world is fairly original. You'll get a decent intro into ancient history and mythology that I guarantee will be more interesting than any class on the subject (though obviously fictionalized to advance the plot). 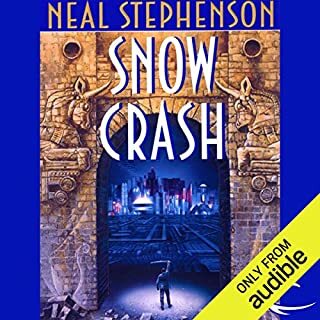 I think this book is unique in that I've never read a book set in the future that's plot was so dependent on the distant past (that didn't involve time-travel to said past). Many reviews talk about how terrible the end of this book is, and it is extremely abrupt, however it might as well end with "To be continued" because the second book picks up immediately where the first ends. If you get this book (and enjoy it), just be aware that you will be buying two books, not one. 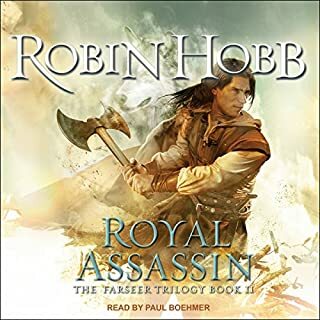 Book 2 does a VERY good job of wrapping up the plot, so much so that books 3 & 4 are essentially a different series set in the same universe. A few characters transition the gap, but the story is much different and (in my opinion) does not add much, if anything, to the work as a whole. From a story-telling perspective books 1 & 2 are near perfect. however books 3 & 4 have technical issues that make the story less believable. Part of the problem is that some "retconning" ("Retroactive Continuity") takes place, and though there is plot-justifiable reasoning and mechanics behind it, it feels cheap. Also the author develops a bad habit of appearing to ignore huge plot holes (things you would think the characters would mention) only to explain them off-handedly a quarter of the book later. I think they were intended as "mysteries to be solved" but since we the reader "eye-witnessed" the facts suddenly brought into question, the only conclusion we can draw is that the author/narrator outright lied to us, which doesn't work as a story-telling device (deceptive narration is fine, but saying "that apple I gave you earlier was actually an orange" is just a retcon, even if it the retcon itself does fit into the plot). In the end it works, but there are long periods of time where you will just be left hanging. I would recommend books 1 & 2 to anyone that likes a good story, not just Sci-Fi fans, and more-so to anyone that knows how to appreciate a story for the way it is told; 3 & 4 I would only recommend to more casual readers. 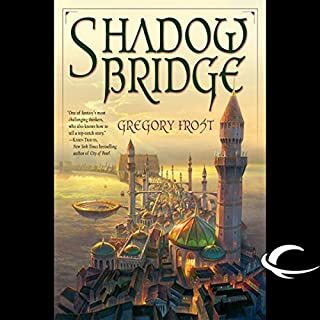 Sprung from a timeless dream, Shadowbridge is a world of linked spans arching high above glittering seas. It is a world of parading ghosts, inscrutable gods, and dangerous magic. Most of all, it is a world of stories. No one knows those stories better than Leodora, a young shadow-puppeteer who travels Shadowbridge collecting the intertwining tales and myths of each place she passes through, then retells them in performances whose genius has begun to attract fame . . . and less welcome attention. This one might be over the heads of the average reader. The plot actually unfolds on multiple layers. One layer is the actions of the main character and her troupe, another is within the stories she tells. Thats something that must be understood for this book to work, the stories are EXTREMELY important - if you tune them out or fast forward past them (as one reviewer did) you wont understand anything that happens outside of them. One major character is actually introduced in the form of a story, as that story is taking place. The method of using stories to tell a larger story may actually be unique - the only thing I can think of that comes close is Heart of Darkness, where the entire plot is a story within a story, but this takes the concept to a whole new level with multiple nested tales that sometimes aren't quite what they seem to be. 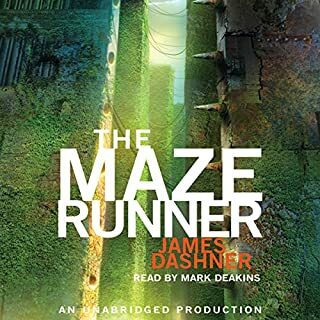 I've read both books in the series, and here are my only complaints: 1) This series should have been a single book, it would have made a ~20h audiobook, which isn't huge, and the point where the second picks up is the same instant the first stops and there is no conclusion of any kind between the two - as a single volume this would work much better (and cost half as much). 2) The reader probably isn't the best choice for this, she sounds like a very young child and this definitely isn't a children's book. 3) The buildup in book 1 is a bit long, and the importance of the stories is not immediately clear. Also, I'd estimate that roughly 2/3s of the people that read the series wont like how the story ends, even if they liked everything else. Its a reaction that I see a lot when the story outlasts the characters - this is not to say that anyone dies (though some or all might), but rather that this story offers perspective on itself outside its own scope. Personally I get a sort of cathartic pleasure out of such endings, but they always bring tears to my eyes. Unfortunately, this book would work far better as a series. There is a ton of build-up and not a lot of action, however the ending is pretty good, and could easily be expanded on. 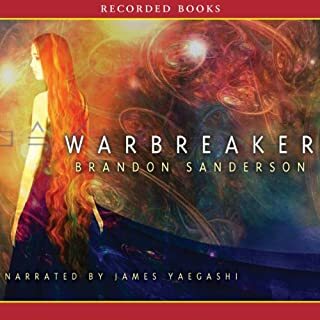 I only really started getting into it on the third part of the book, and then it ended... Like most Sanderson books, theres a ton of potential beyond what is used in the book itself, but unlike Mistborn, simply not enough of it is used to keep the entire book interesting. If this would be your first Brandon Sanderson novel, try Elantris (stand alone novel) or Mistborn (3 book series) instead. If your already a fan, I'd still recommend reading this one, but unless you NEED this in audio I would suggest getting this in paperback or visiting the authors website where you can download this entire book in PDF format for free. Should this book ever become part of a series I'll be very happy. First, the only negative of this book is the very beginning, which seems slightly awkward at times. This fades quickly and is barely noticeable as is. Second, the author makes astounding use of inference as a story telling device, better than any I've ever seen. He doesnt tell you things, instead letting the actions of the characters imply what must have happened, how it happened, and even when it happened. The unimportant (to the plot) elements are typically left unconfirmed, just evident, but if your perceptive you'll be able to see the truth behind a great many things before they are actually revealed as characters imply them with their words and deeds. 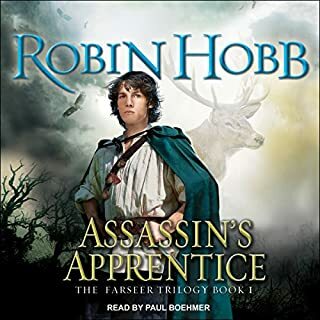 Despite that this is the story of a young assassin learning his trade, there is actually only one "training" scene in the entire book - the rest is almost entirely left to your imagination with brief recollections by the main character to confirm suspicions and give details on pertinent aspects of his skill-set. The effect of this is allowing the author to write a book that spans a decade, has the content of about 3 regular books, and never has a slow moment. This also makes for a lot of transitions, temporal and spacial, and if your not a fan of multiple plot lines you may not like it. 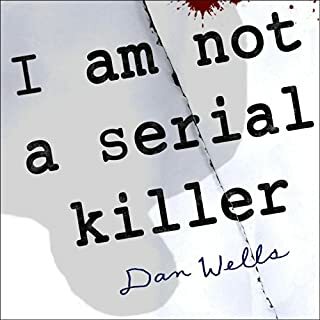 However, I'm not kidding when I say this book has the content of 3 normal novels - you will occasionally be shocked when you realize its not even close to over yet, so if you want more for your money you cant go wrong with this one. Third, the story itself is fascinating, while listening to this I nearly had 3 traffic accidents I became so absorbed. Mr. Weeks is nearly as hard on his characters as George R. R. Martin - but only nearly. This is not a sad story, and its not a happy story, its a good story. 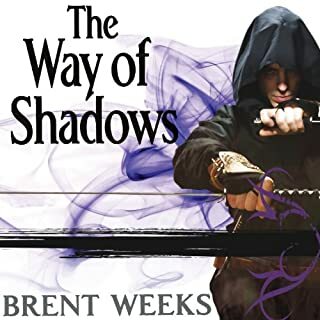 If you like darkish fantasy with an undercurrent of redemption, political and personal intrigue, and magic which is both common and powerful (but not all-powerful) - then this is a book for you.